Rabbids Amusement Center RFID solutions in collaboration with Connect&Go. Ubisoft is a leading creator, publisher and distributor of interactive entertainment and services. Based on Ubisoft’s popular video game franchise, the Rabbids Amusement Center combines technology and creativity. Obstacles, slides, giant ball pits, ball cannons, a climbing wall, giant construction blocks and virtual reality chairs: everything for kids to have fun. Ubisoft was looking to create an immersive and unique experience for the center utilizing a custom-made RFID solution. Our software solution allows us to offer a personalized and immersive experience to guests of the center by engaging them in quests that blend RFID technology with physical activity. The Ubisoft team is thus able to offer an ultra-connected and innovative amusement center. 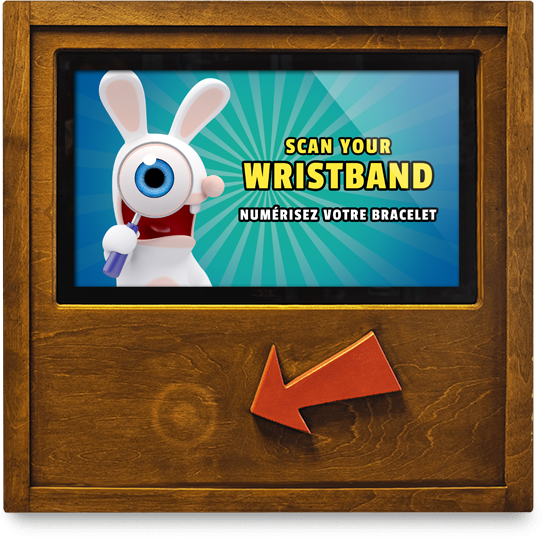 The Rabbids personalized portal also lets users continue the experience from home. Member management software gives the Ubisoft team the ability to manage and add to their member database. The location is packed with activities and interactive “quests” that allow users to collect points. These quests are presented to users via the screens located on the RFID terminals and can be completed by everyone with a smart bracelet. These interactive activities are linked to a web platform where members can consult the status of their quest and total accumulated points. A quest management platform provides the options Ubisoft agents need to configure activities based on specific variables. Ubisoft agents can create new quests in a live environment or build them over time. The gamification of the center increases interactivity and frequency of visits to the center by relying on a system of points that evolve through recurring play. Stored in the user’s profile, these points can be accumulated by completing the various quests leveraging the RFID technology. Point reading terminals allow the user to know the number of points he/she has accumulated. He/she can then redeem their points at various places throughout the center, including concessions and at the gift shop. For example, a user can redeem points to get a free ice cream or cotton candy. The bonus point RFID reader also allows an agent to assign points to a participant who has just completed an activity. The number of points can be determined by the agent. The information is automatically sent to the user’s profile. Ubisoft agents can take group and individual photos of users as a keep sake post visit. These cameras, based on the Android system, automatically send the photo to the profile of the user. He/she can view their photos or download them at home via a mobile device. Once at home, parents and children could visit the Rabbids platform and create an account. 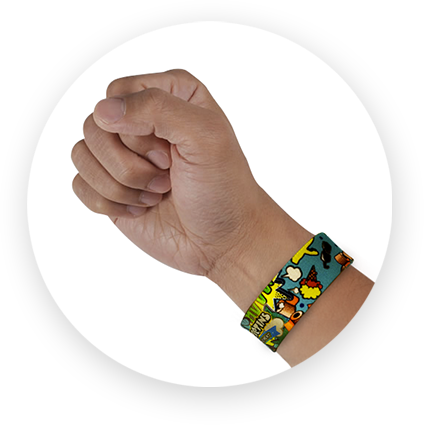 Every family member could register their wristbands in their profile. The points accumulated during their visit to the center will automatically be displayed and could be redeemed for merchandise. Users could also view the photos taken during their time at the amusement center and share them on social media.